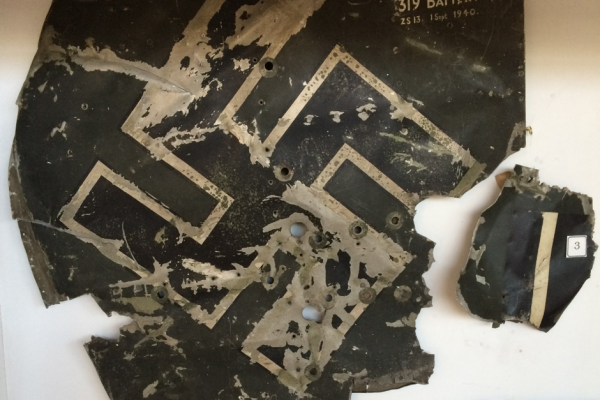 The tail fin of a Nazi Junkers Bomber which was brought down by the 319 Battery of the 3rd Battalion (97th HAA Regiment, Royal Artillery) London Scottish in September 1940. 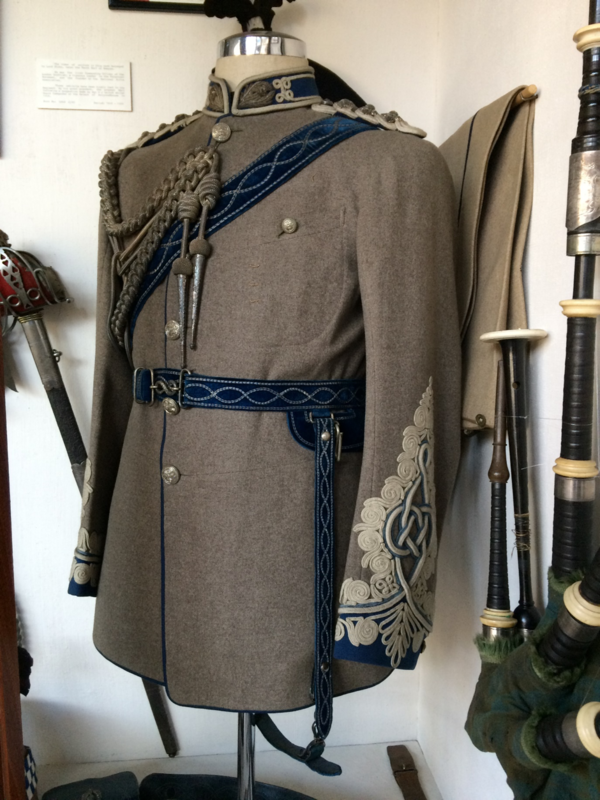 SOUTH AFRICA 1900-02. 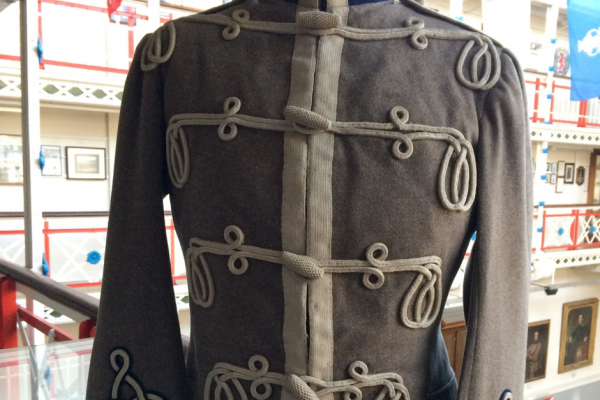 The Regiment’s first Battle Honour. 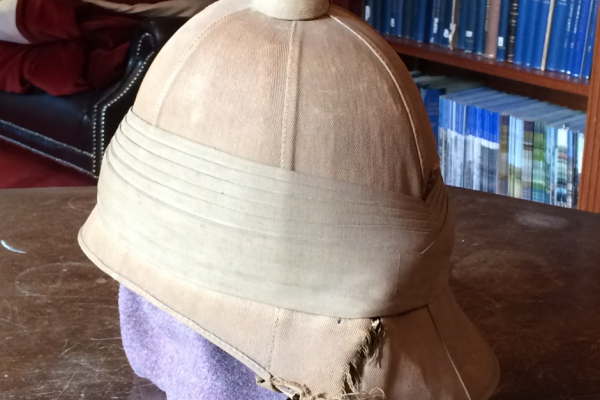 This Helmet was worn by a London Scot serving with the Gordon Highlanders Service Company in South Africa. 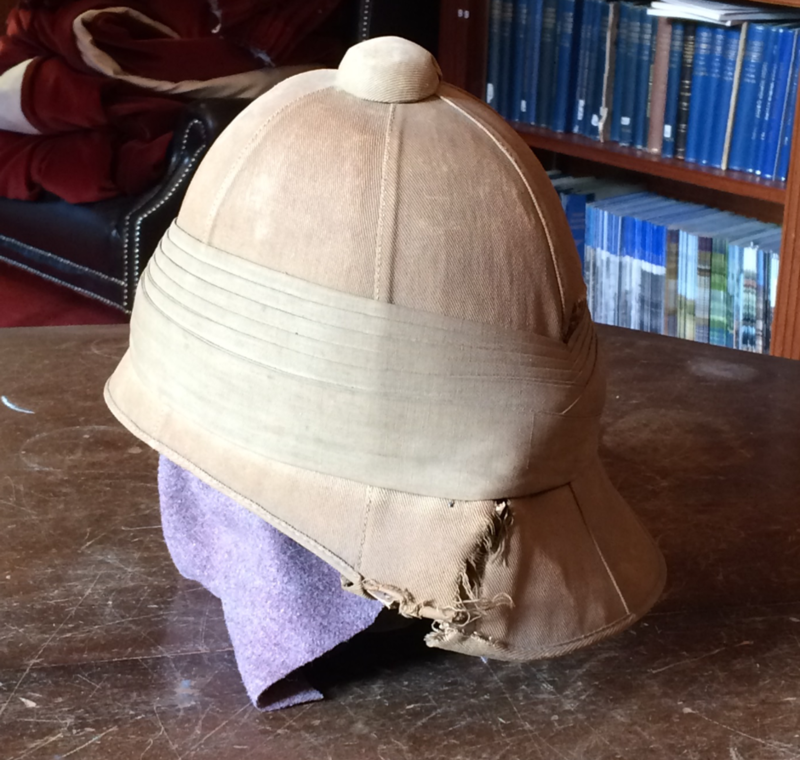 The damage was caused by a shell burst on 8th September 1900 at Lydenburg. 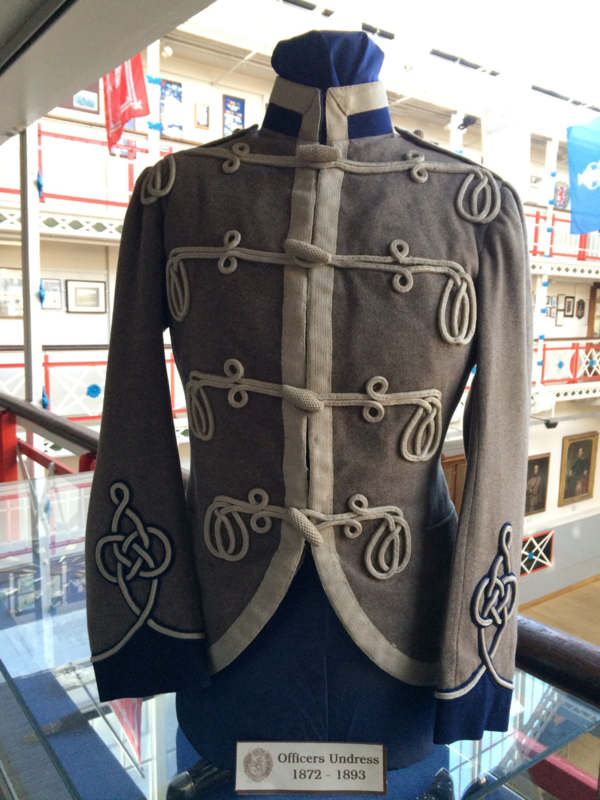 Original tunic belonging to the founder of the Regiment, Lord Elcho, later The Earl of Wemyss, dating from 1859. 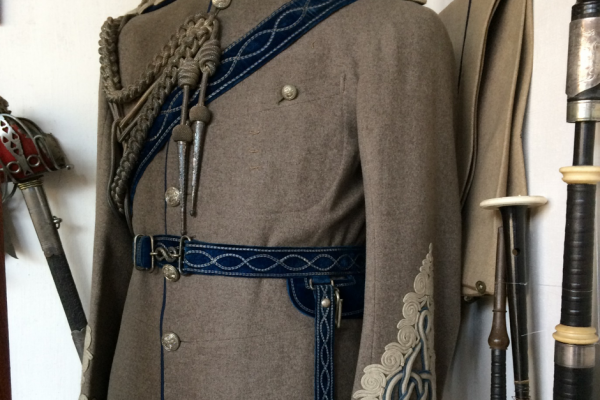 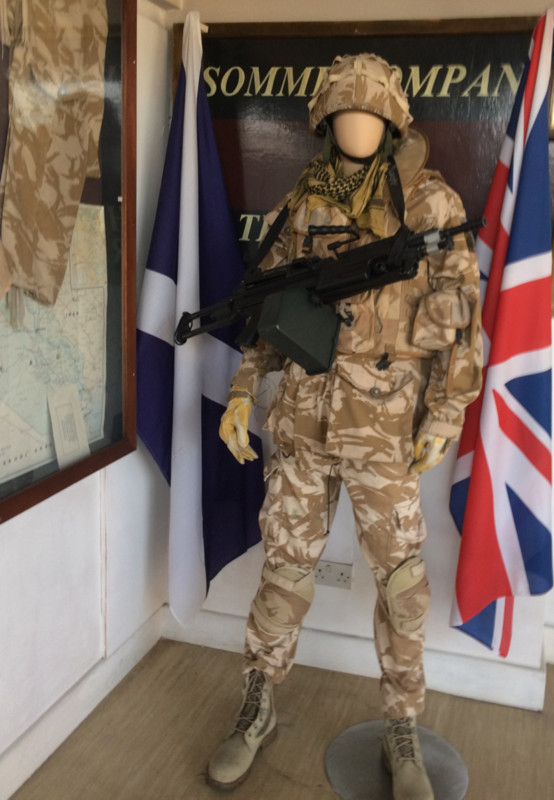 One of our many unique uniforms – Late Victorian period. 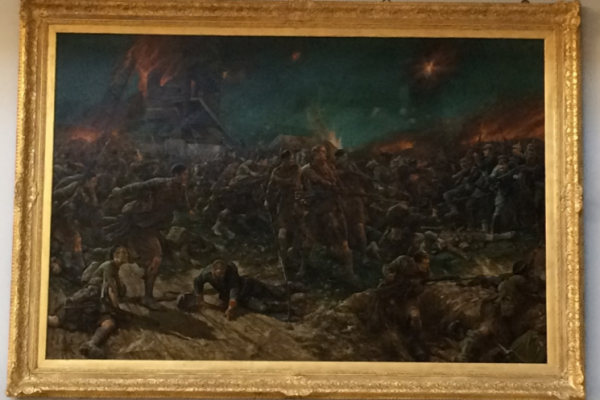 "Hallowe'en 1914", 1927 by Richard Caton Woodville (1856-1927). 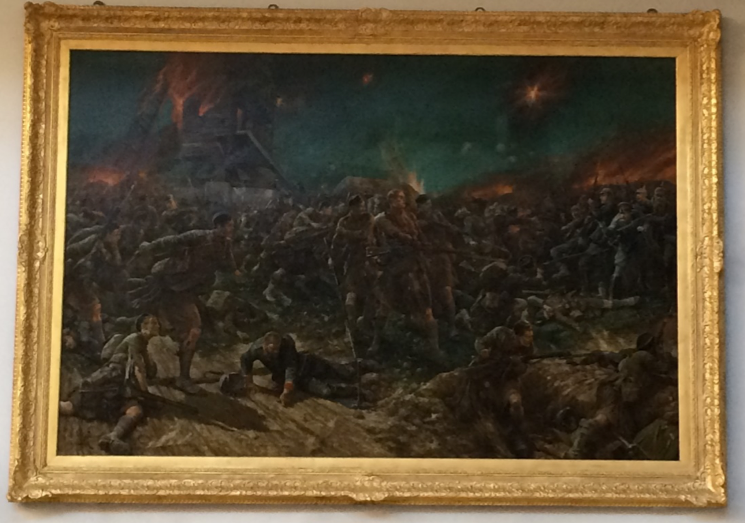 Richard Caton-Woodville’s magisterial painting commemorating the Regiment’s first action on 31 October 1914, at the Battle of Messines Ridge - the first territorials in action in WW1. 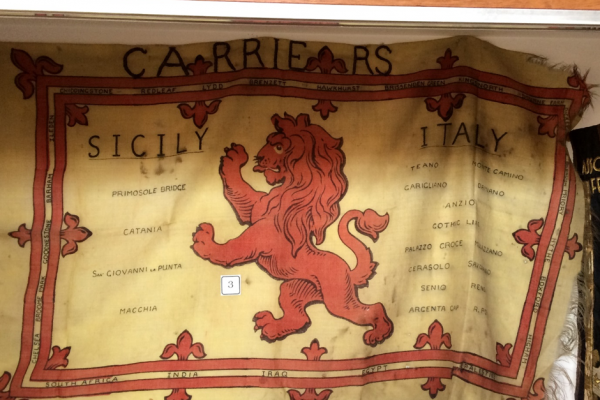 The Rampant Lion has long been an unofficial regimental emblem. 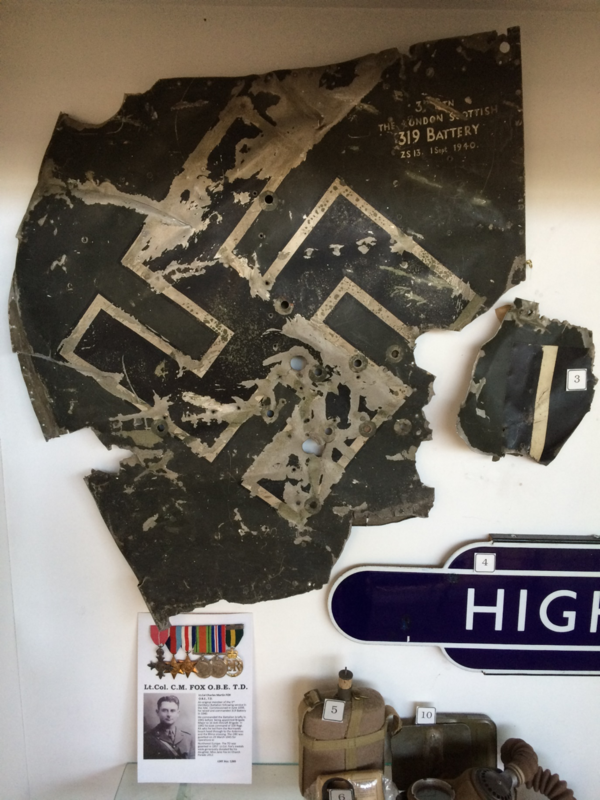 This one was flown by the Carriers Platoon of the 1st Battalion in World War Two. 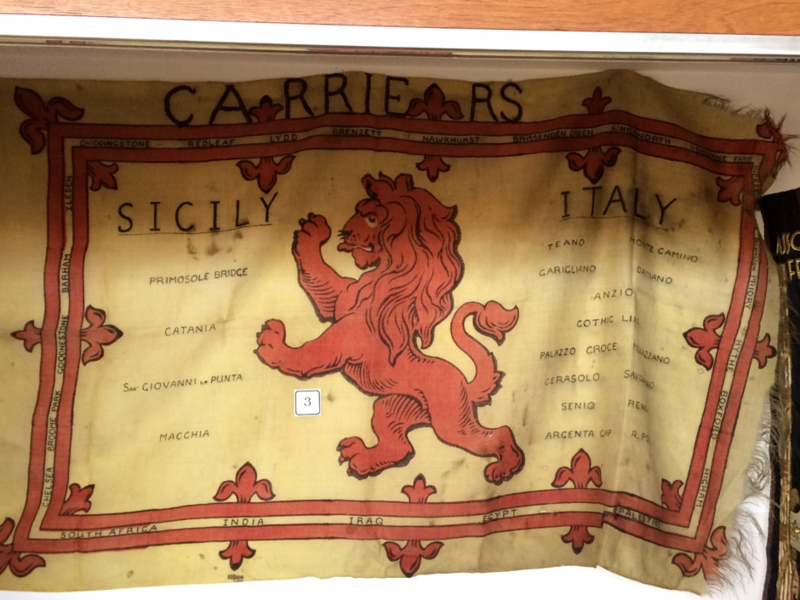 All the actions of the Italian Campaign are inked on the flag. 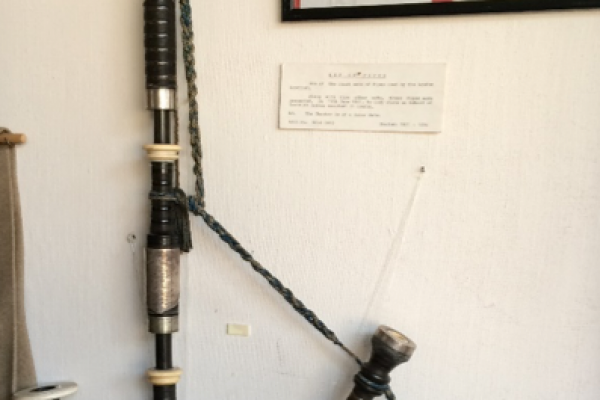 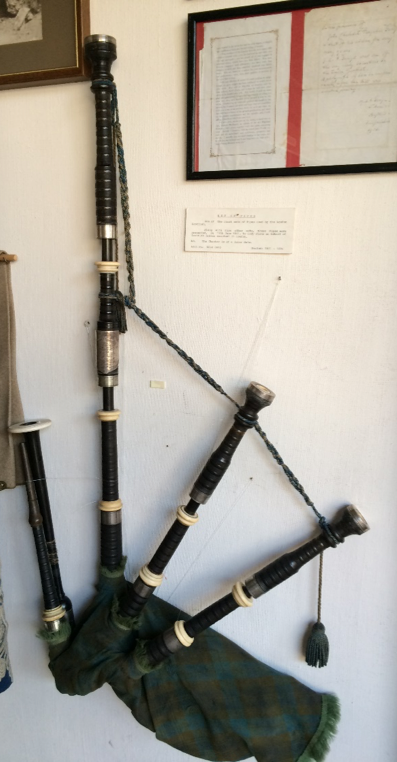 Historic set of bagpipes, donated by Lady Elcho and Scottish Ladies resident in London and presented in a ceremony at Westminster Hall in 1861. 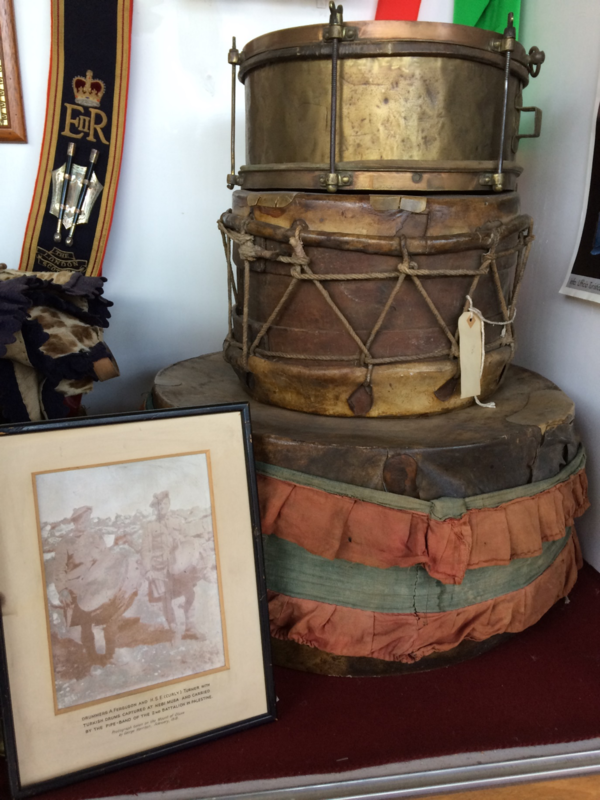 Drums captured from the Ottoman Army at NEBY MUSA in the Palestine Campaign in February 1918. 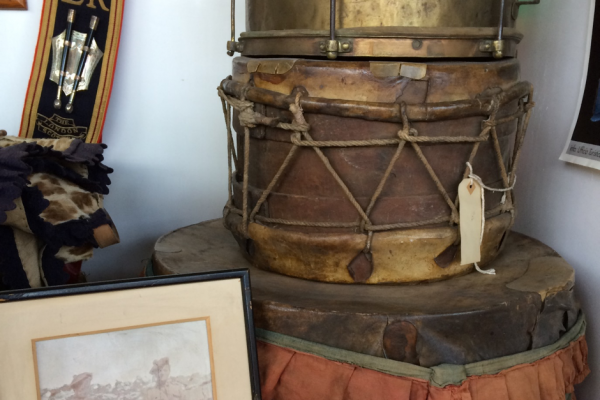 They were played by the Pipes and Drums of the 2nd Battalion for the rest of the campaign. 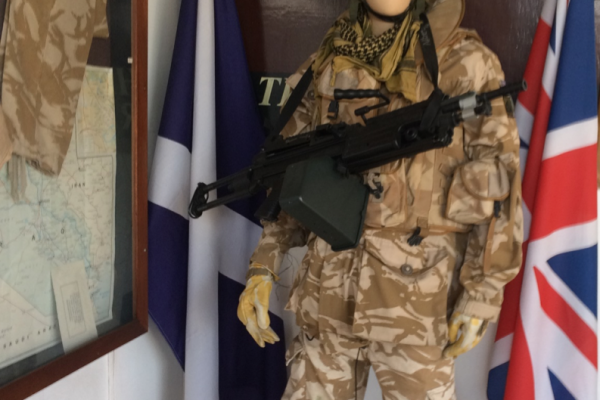 Uniform and painted Headquarters Sign for the London Regiment’s Somme Company deployment to Afghanistan in 2006. 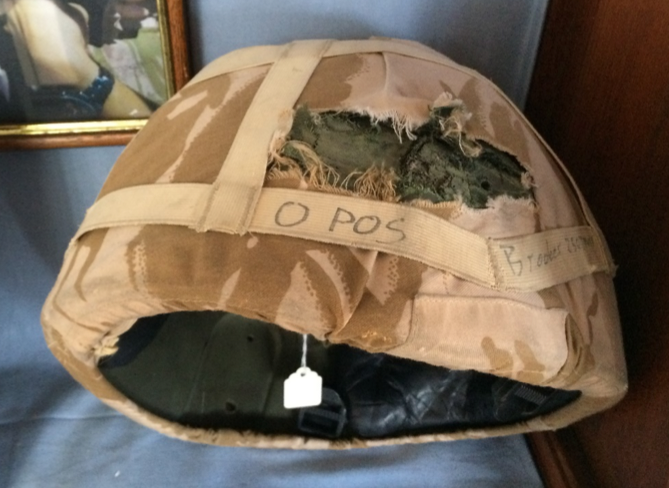 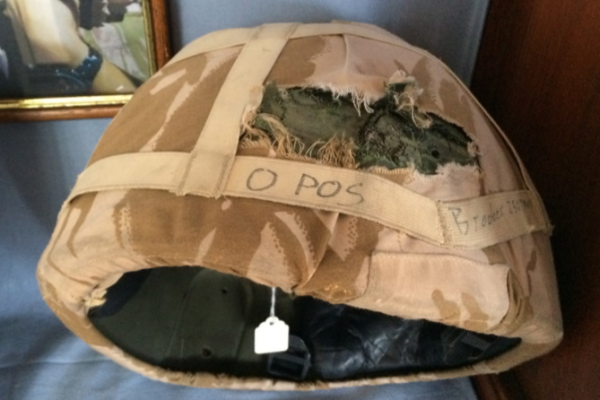 Private Brooker’s helmet saved his life when caught by an improvised explosive device when serving in Iraq in 2004.